The weather is getting cold, and while I love the chill in the air, being stuck at home with a toddler or two can smother that holiday spirit quicker than my daughter can redecorate the bathroom with the contents of my make up drawer. This winter, I am determine to plan ahead, so I’ve started to compile a list of the free or inexpensive toddler activities around Smyrna and Marietta. For the most part, this list doesn’t include activities that require advanced registration, so they’re perfect for when you just need to get the kids out of the house for a bit. The easy and obvious one is storytime. They usually follow a similar format: 2-3 books, interspersed with songs and then a craft or activity of some sort. 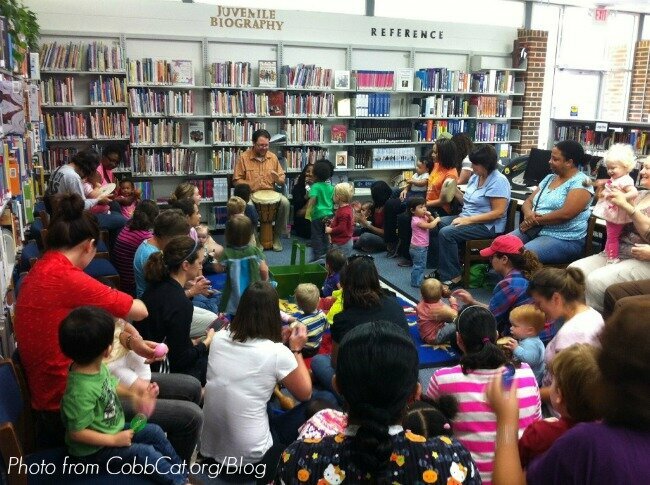 There are storytimes for babies, young toddlers, and preschoolers. Between the Smyrna Public Library and the Cobb Library System, you can find one nearly every day of the week. Or, if you feel like you need a treat as well, you can always skip the libraries and go to the Barnes & Noble storytime where you can enjoy a coffee and maybe get a book of your own. If you’ve been meaning to get to Toddler Thursdays at The High Museum of Art but never seem to make it, try out one of our closer options. These aren’t free like the storytimes are, but the price of admission gives access to the full museum, so you can make a morning of it. The Marietta Museum of Art hosts Toddler Tuesdays with an art-related story, and then an art and craft period that goes well beyond crayons and coloring sheets. It’s become so popular that they now offer sessions at 11am and 12 noon on Tuesdays. Adult admission is $8 and kids under 6 are free. 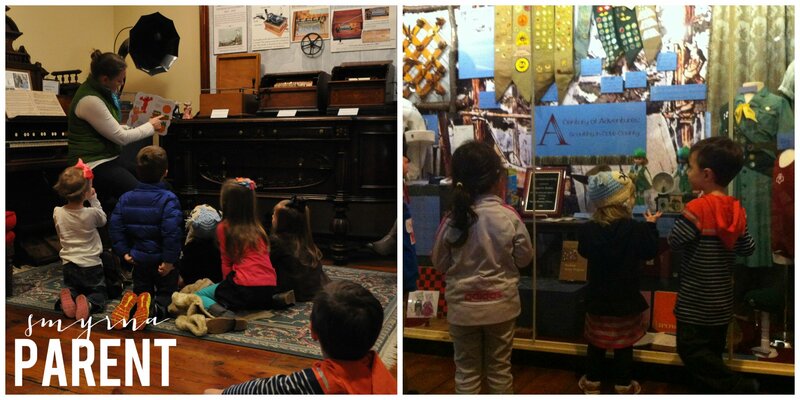 The Marietta Museum of History hosts their Mouse Tours on the 2nd Wednesday of every month. This program is modeled after the Smithsonian’s Early Learning Enrichment Program and features 2 cartoon mice who teach your toddler history through games, art, colors, counting, and motion. This is one of the few that requires you to reserve your space in advance, and the cost is $7 per family. Finally, The Southern Museum has Mommy and Me classes every Thursday at 10am and 11:30am. The session is a full hour, which includes a tour of the train portion of the museum, an instructor-led activity and then plenty of playtime at the train tables. This one is in Kennesaw, so it’s definitely a drive, but the allure of trains can easily fill a full rainy morning. Admission is $7.50 for adults. Children under 4 are free. 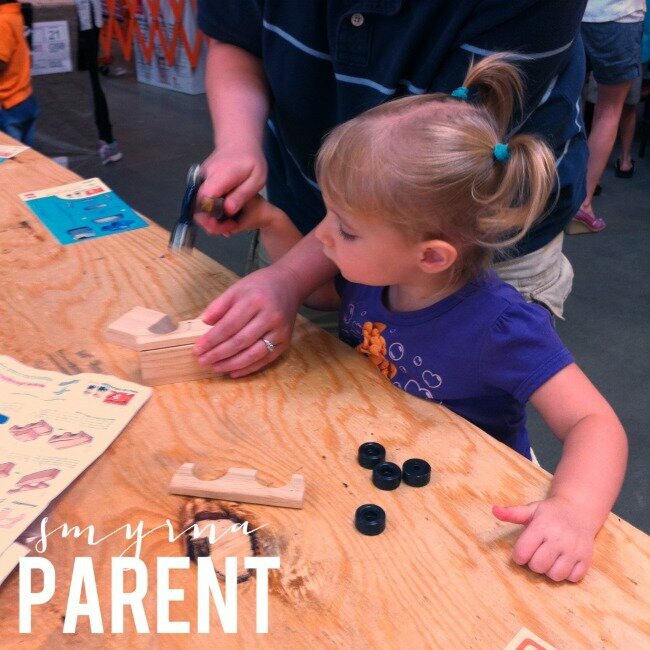 The Home Depot has a free Kid’s Workshop on the 1st Saturday of each month. It’s parent-led and actual tools are used. It’s recommended for children ages 5+, but with parents helping with the hammering, younger kids can still have fun sanding, tapping, and decorating. If you’re willing to brave the colder temps, or if we get one of those surprisingly warm days, nothing beats some time outdoors for releasing the wiggles. 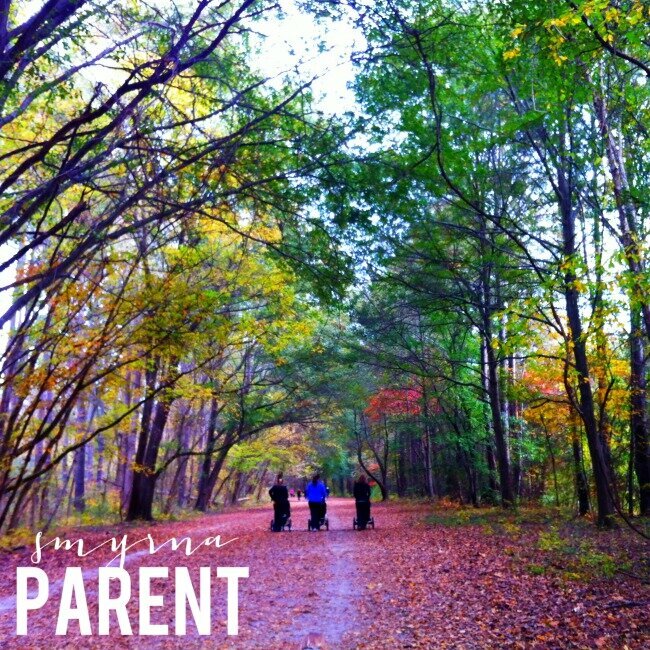 We’re surrounded by an incredible variety of parks and playgrounds, but beyond that, the Silver Comet Trail and the Chattahoochee River Trail at Cochran Shoals are stroller friendly and offer new scenery for parents needing a jog or walk. There are even Kennesaw Mountain trails that are accessible in Smyrna (near the intersection of Windy Hill and Powder Springs), if you don’t want to make the drive to Kennesaw. These are generally not stroller friendly though, so they’re best if your child is small enough to comfortably fit in a carrier, or old enough to walk on their own.